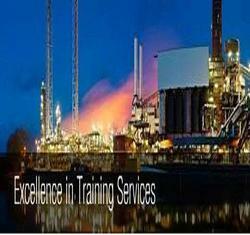 Providing modeling services, supply chain management services etc. We build and deliver plant-wide Integrated Information Systems (IIS). We also deploy Reconciliation tools, KPI dashboards and ERP interfaces to create a fully leveraged IIS. We also specialize in building and implementing Multivariable Predictive Control models using any appropriate commercial software, like DMCplus, RMPCT, etc. Extensive experience on various industry standard platforms helps us to put together building boxes of MES and create a central data repository. Finally, we employ standard industry practices for integration which ensure lowest life cycle cost of the application, ease of maintenance, scalability and upgradeability. We build and deliver end-to-end Supply Chain models. A typical supply chain model may include, Demand Planning, Supply Planning, Production Planning, Scheduling and Distribution Planning Functions. Our fundamental understanding of LP, MILP and NLP modeling enables us to build supply chain models from grounds up. However we also employ industry standard SCM software, like Aspen MIMI, to build such systems. The SCM models enable a plant to practice lean and/or flexible manufacturing, for example, switching from one to other mode of production, with minimal waste and inventory costs. We build and deliver right-fidelity chemical process models. We also carry out engineering studies using models and deliver actionable recommendations for plant improvement.We have expertise to build both steady-state and dynamic process models, which could be used, for engineering studies, for process training or for building an Operator Training Simulator. he capabilities to develop a model from first fundamentals not only empower us for custom modeling (when required) but also make us platform independent. Our team has rich experience and expertise on many software tools, such as, Aspen Hysys, Aspen Plus, Honeywell UniSim, Simsci ProII, to name a few. You can trust our model as much as you trust your plant. A LIMS application for automating work flow in a plant or commercial testing laboratory. Productivity enhancement tools that sit on top of a commercial simulator.